Happy Tuesday dolls! How is it only Tuesday? I guess I can't complain because my Monday was pretty awesome. I've said it before and I'll say it again, I LOVE my job! After being so unhappy at such an awful job previously it's such a breath of fresh air to be somewhere that I feel appreciated and valued and to be working for a company that has it together. Not to mention I get to do a lot of really fun things and work on a lot of awesome projects so I'm definitely never bored! Like yesterday for example, we got a private tour of this "brewery" about 45 minutes from our office. I say "brewery" because while it is a brewery, it's much more than that. 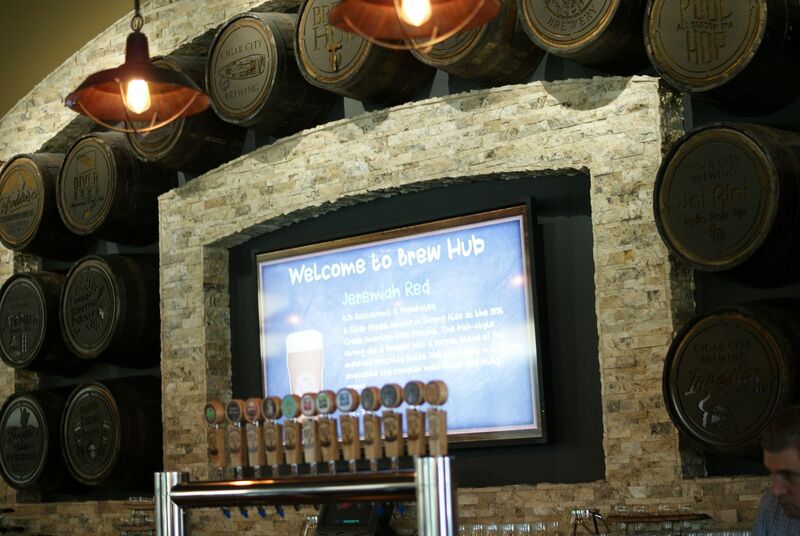 BrewHub is a partner brewing facility that allows craft brewers to not only brew their beer to the exact specifications under the supervision of their own Brewmaster, but also to package and distribute from the Brew Hub brewery and make their beer available for export to national and international markets. This concept allows craft brewers to expand their distribution without the overhead costs of building a new brewery, storing or transporting product. Partner brewers have full-control of the brewing and packaging process for their own brands to ensure that all specifications are met. We carry most of the beers that BrewHub partners with in our locations but the one in particular we went to go see was Golf Beer. 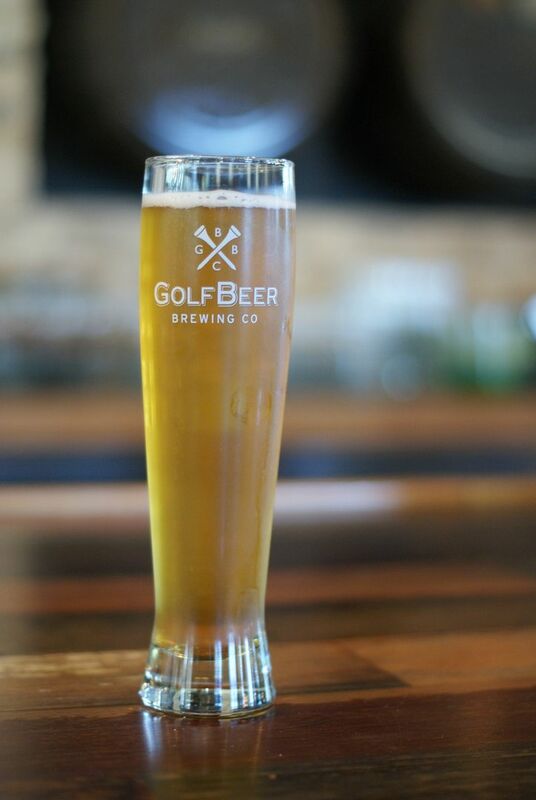 Golf Beer is a craft beer company owned by three professional golfers, Freddie Jacobson, Graeme McDowell and Keegan Bradley. All three golfers have their own unique style of beer based on their own personal likes and backgrounds. Freddie actually invited some of us from our team to come out and visit the brewery, take a private tour and do a little tasting so of course I took them up on the offer! The tasting room was a gorgeous, very modern space with stone, wood and gorgeous fixtures that were both rustic yet modern. 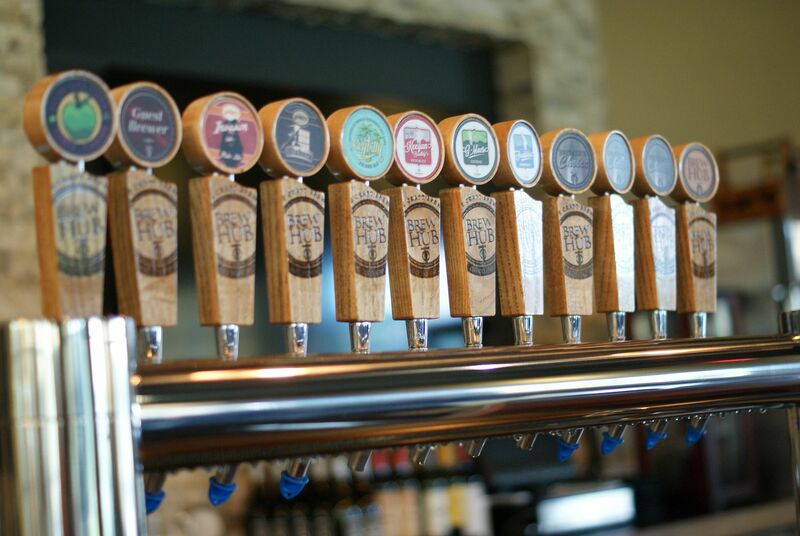 They have about 24 beers on tap including the 3 Golf Beers as well as some of their own stuff and other companies they brew for. I of course went with the Golf Beer and choose Freddie's own beer, the Scandinavian Blonde. I've had this beer before and it's by far my favorite of the 3. It's a full-flavored yet light and refreshing beer that's perfect for summertime sipping. After doing some tasting we got our private tour of the facility. I won't bore you with the pictures of the behind the scenes stuff. It includes a LOT of metal and gauges and man was it hot in there. It was a really cool experience getting to see what all goes into making a beer and seeing the crazy expensive equipment. BrewHub definitely has the most high tech equipment I've ever seen, not to mention a huge facility equipped with a bottling line, canning line and even a lab to ensure the beer is perfect every time. Crazy stuff. I mean seriously, a lab. Like goggles, lab coats and beakers type of lab. It was definitely an awesome experience and I thank BrewHub and Freddie for having us! 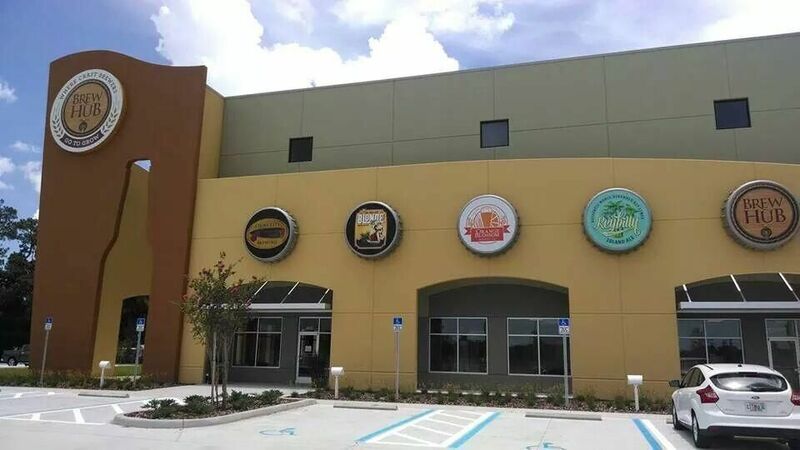 If you're ever in the central Florida area I highly recommend checking out BrewHub, just not on a Monday since it's closed to the public on Monday. And if you have a chance to try Golf Beer, I highly recommend it! Freddie was easily one of the nicest, down to earth guys I've ever dealt with and you could tell he really had a passion for his brewery and his beer in particular and was proud of what he's put into it. As he should be! Hope everyone has an amazing Tuesday! What a fun work perk! I love learning how things are made, so cool! How much fun and that it's part of your job is awesome! that;s really cool! i don't drink beer, but practically everyone i know does, and they'd love this! Wow, that tasting room is awesome! My husband would love that place! Every city we travel to we always try to get in a beer tour with a local brewery. So much fun!!! Have you had a chance to come to any of the ones in Tampa? 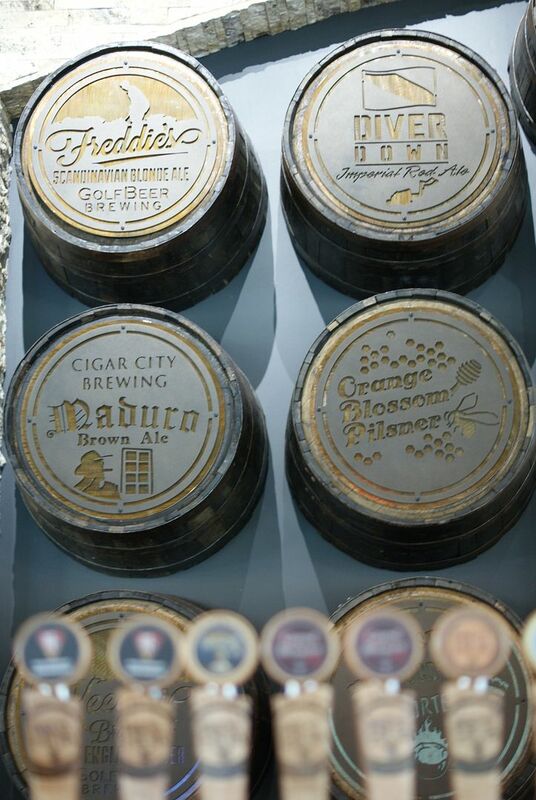 Crafts beers are popping up everywhere here! Your job sounds amazing! I love that you're always talking about how much you love it. Sounds like quite a fun start to the week. I can't believe it's only Tuesday either but more because yesterday felt more like a decade than a single day. That sounds like such a fun place to visit! I love breweries, and will always try a great craft beer!! I totally need a job that gives me perks like that! Your photography skills are on point, too! How cool! I have never heard of this place but it looks so nice! Nothing like getting paid while getting to taste beers!! I'm soooooo happy you're loving your job! You deserve to be happy, girl! Looks amazing! You really do have one awesome job! That is so cool. You totally do have one amazing job. Not loving your job is so hard. I don't love my job but I don't hate it either. I remember when I use to love my job and I do miss that. My husband would love if he could go to a brewery every day for his job, haha. He loves making beer. What a fun day! I've driven passed that place so many times and always wanted to stop in for a beer. 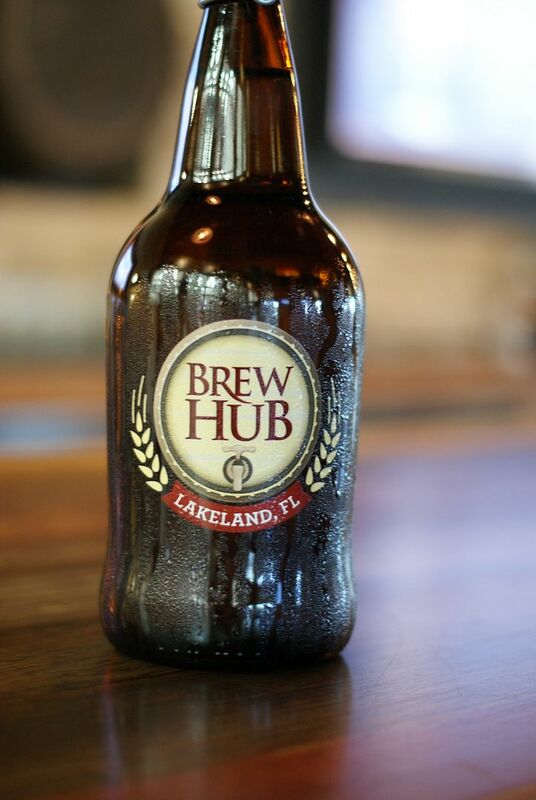 Love our local Orange Blossom Pilsner! What a fun tour! I always think brewery tours sound so fun and that one just sounds fantastic. gtlad you are liking your new job! What a fun place. I love a good beer! So first this looks like so much fun and second it's even better that you got to go on a work day! !